From time immemorial Storytelling has been an inherent part of human societies and culture. As humans walked the earth, they captured their journeys in form of stories. The Prehistoric parietal art or cave painting tell thousands of stories which are intriguing and give insights into ancient civilisation. Ever since, many forms of story telling have evolved and masterpieces have been created throughout history. Whether it be the brush stokes of Leonardo Da Vinci, the epics of Homer, the intricate vases of Ming or the Shakespearean Dramas, all have stories to tell. Stories were told for leisure at gatherings, narrated to children for teaching valuable lessons, plays staged for entertainment, folklores passed generations down. They connected communities, entertained and educated. They had the power to transport the mind, from stories of heroes & villains to that of love & war, humanity & values. The advancement of civilisations & cultures witnessed different methods of storytelling. In recent times, one such medium of story telling has been the motion pictures. The geniuses of Thomas Edison & Lumière brothers gave to the world the motion picture camera and projecting equipments as early as the 1890s. 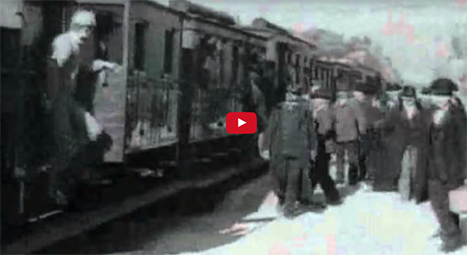 “L’arrivée d’un train à La Ciotat”, one of the first movies ever made in history 1896 by “The Lumière brothers”, was under a minute long. Soon films were several minutes long. The stories become larger than life and imaginations soared. A Trip to the Moon, (1902) became the first internationally successful motion picture, and the first science fiction film. 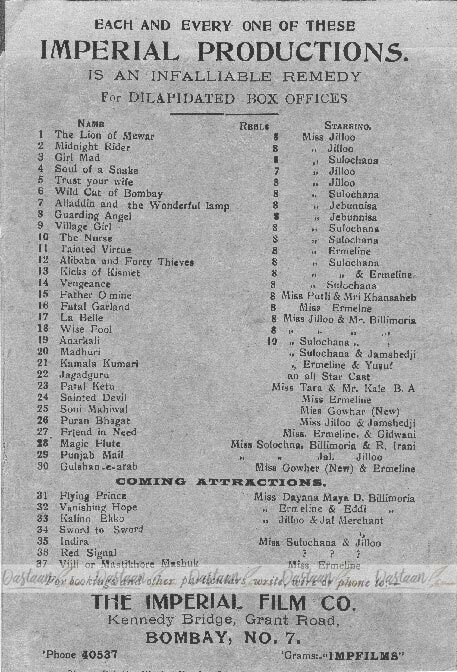 Motion Pictures gradually moved from being a novelty to an established large-scale entertainment industry. 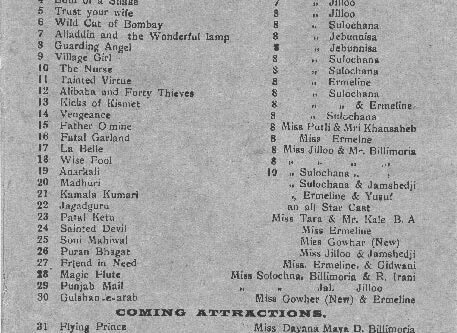 Cinema became a sensation across the world and soon found its way into India, where the first screening was held in Bombay (1896). A while after, Hiralal Sen, an Indian photographer, made “The Flower of Persia” (1898), a film compiled of scenes photographed during a show. Many short films started being shot thereafter. The Wrestlers (1899) by Save Dada, depicting a wrestling match at the Hanging Gardens in Bombay was the first Indian Documentary film ever to be shot by an Indian. Later, Dadasaheb Phalke, the pioneer of Indian film industry, produced the first full-length motion picture – Raja Harishchandra (1913). Thus, began the journey of Indian cinema which would in years to come become one of the biggest film industries in the world. The development in cinema gave rise to production houses like Imperial Film Company, which was set up by Ardeshir Irani, & cinema chains, Madan Cinema being the pioneers. From silent films to the first talking movie – Alam Ara to the first color film – Kisan Kanya, Indian Cinema saw a wave of talent in film making which continues till date. Film makers experimented with new ideas, new scripts, new story telling. Post independence, a whole new arena of possibilities opened up and during 1940’s & 50s started the “Golden Age” of Indian Cinema. Some of the most critically acclaimed Indian films of all time were produced during this period. 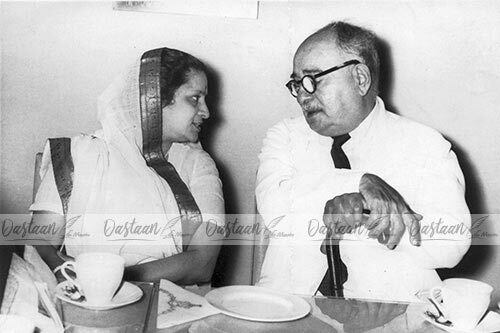 The anchors of Indian Cinema may be long gone but the stories should never be forgotten.